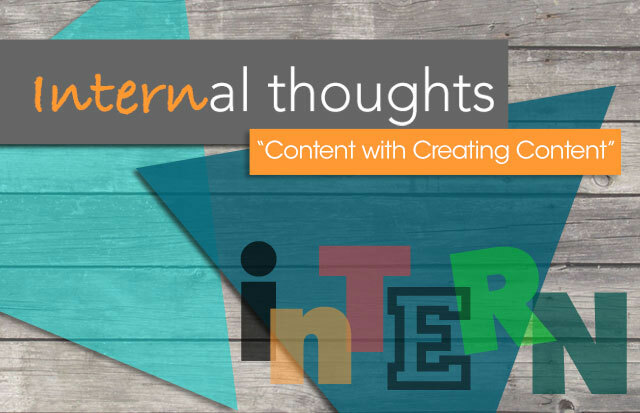 In the blink of an eye it’s already been a month since my first internal thought blog post, and two since my internship started. Where has the time gone? How could two months go by so fast? I know they say that summer always flies by, but I definitely thought this one would drag on because all I’ve really been doing is working between here and my part-time job. Looking back now though, this summer is flying by faster than any I can remember, and I think it’s really because of how much I’ve been working. Actually, I don’t know if I can even consider this internship as work because I’ve gained so much. Now I’m doing so much more than I thought would come with my role. I, of course, am still in charge of making the weekly blog and some of the Twitter and Instagram content, but now I’m helping other members of our team with their own client work as well. I recently helped (or at least tried to help) Kim with planning an open house for one of our clients – Ohio Construction Academy. That was my first time dabbling in event planning, so even though I didn’t get to see it all the way through, it was still an excellent learning experience I can use in the future. I am also now helping Dawn with the social aspect of another client, Disston Tools. I have helped with their blogging as well as their Pinterest projects. It really is cool to see content you’ve helped create be set into motion on other sites. It hasn’t been all work here, though. In trying to pull together interesting blog subjects, we decided to highlight weird national holidays. Our first was National Junk Food Day, which we featured on our last blog HERE. Needless to say, it was a pretty exciting day in the office. Kim and I have also taken our daily office walks during break as an opportunity to catch Pokemon, while Tara’s dog has taken the opportunity to mark her territory on them. While we’re still on the topic of national holidays, today just so happens to be National Milk Chocolate Day!!!! All in all, I can say as of right now, I am content with creating content, and though I’m excited to see what this last month has in store for me, I can only hope the clock slows down a little! P.S. If you haven’t already, follow us on twitter at @array_creative and instagram at @arraycreative!